United Transport and Logistics Company and Mercitalia Rail signed a memorandum of understanding for the development of the integrated container transport of goods by rail from China to Europe through Kazakhstan, Russia and Belarus. “We are pleased to welcome a new Italian member of the UTLC family. 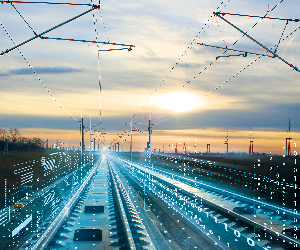 Together with Mercitalia Rail, we can offer cargo owners not only a well-organized delivery of goods along the entire route from China to Europe and back, but also new transportation products in the near future. 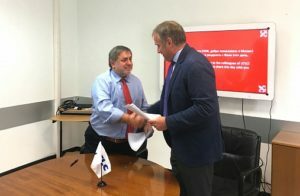 The signing of the Memorandum of Understanding between UTLC and Mercitalia Rail emphasizes the prospects for the development of Eurasian transport and the shipper’s interest in it,” Alexey Grom, the President of UTLC, said. According to the document signed, UTLC will provide logistics and railway services for the transport of cargo containers through Kazakhstan, Russia and Belarus on the Dostyk/Altynkol-Brest/Kaliningrad route section, and Mercitalia Rail will provide transport of goods by rail on the territory of the EU. Transport of goods from Italy to Italy will be a top priority. 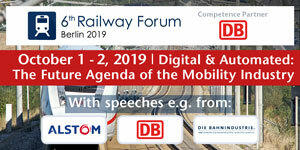 The parties intend to cooperate in the development of rail transit between Europe and China providing its customers with comprehensive transport services. This agreement is especially relevant in the context of increased volume of goods delivered to Europe from China. “We are very pleased we have signed an agreement with UTLC as this will allow us to enter the rapidly growing market of Eurasian goods. 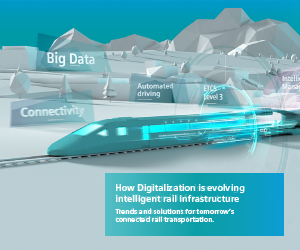 This project fits perfectly into our business plans mostly focused on the international market,” Gian Paolo Gotelli, CEO of Mercitalia Rail, said.